Currently all 50 states require the routine maintenance of automated external defibrillator (AED) devices. ZOLL® provides total-solution AED Program Management with PlusTrac™. It provides an innovative solution that is comprehensive yet simple, tracing all of the vital components of your AED program. Through the interactive reporting features and escalating notification system, PlusTrac provides real-time status of all your AEDs. PlusTrac is an interactive, web-based system that ensures the ongoing compliance of your AED program. It can be accessed via an internet connection and a web browser. Learn more about how PlusTrac AED Program Management works. Make changes to your AED program, such as removing or adding an AED. Record maintenance checks of AED units. Run compliance reports that help manage your AED program and personnel. Track consumable items such as batteries and electrodes, as well as the certification expiration dates of volunteer responders. 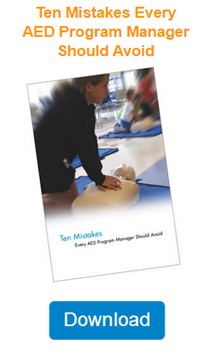 ZOLL also offers AED and cardiopulmonary resuscitation (CPR) training through its PlusLearning™ training programs. These programs are customized, with each responder learning to use the appropriate automated external defibrillator, along with the policies governing the AED program for their facility. All required training documentation is seamlessly integrated through PlusTrac.